BASCS Elementary celebrated and recognized their safety patrol members for all of their hard work and a job well done this year. This was the first year of the program, which was led by our Security Coordinator, Mr. Glenn Schnellbacher, and it was a huge success. 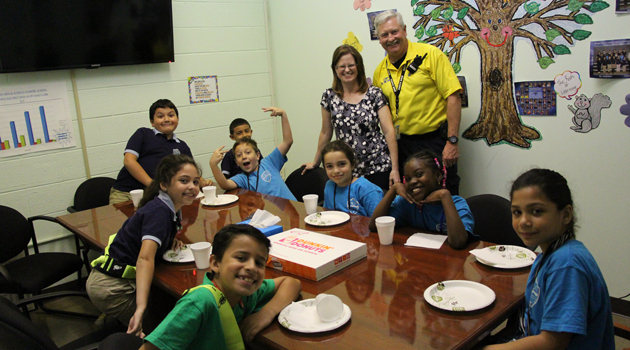 The members were comprised of eight third grade students who demonstrated leadership skills and were important role models to the younger students this year surrounding the school safety rules. We look forward to continuing the program next year with our upcoming third grade students.